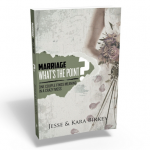 Marriage What’s the Point is a journey of pain, reconciliation and discovery as God showed Jesse and Kara how the wounds and scars from their past were affecting how they treated each other. They found it impossible to reflect the heart of God to each other while being held captive by things like self-hate, fear and bitterness. Knowing they aren’t the only ones to have been imprisoned by those chains, they desire to show others the path of freedom God revealed to them. 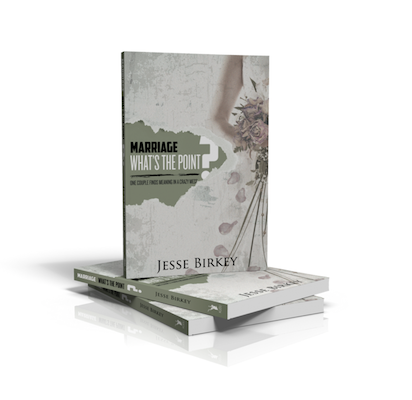 Marriage What’s the Point? will challenge and encourage you, inviting you on a path to restoration that is different than you might expect. There is hope! Find it with Jesse and Kara in Marriage What’s the Point?